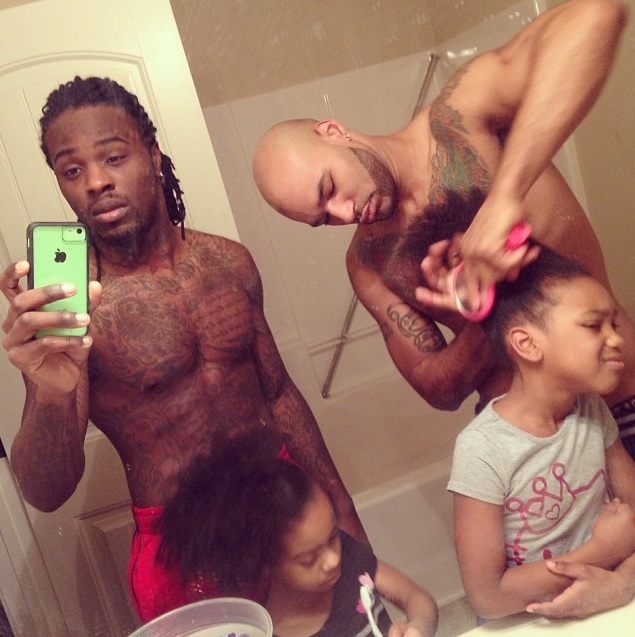 It’s no surprise that if you hashtag #gaydads on Instagram or Twitter, the majority of images that pop up are that of white couples. 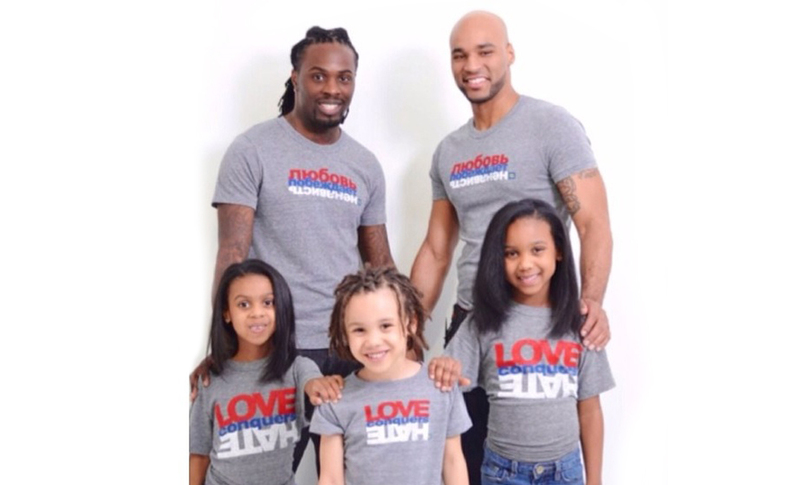 That’s why when Atlanta-based couple Kordale and Kaleb Lewis posted an Instagram picture last year of them doing their daughter’s hair with the same hashtag, the picture instantly went viral, making the two African American fathers a nationally recognized couple. A typical morning in the Lewis household starts off with a routine similar to most families with young children. During the school year, the couple’s three kids – Maliyah, Desmiray and Kordale – wake up at around 5:30am, take their shower and get dressed, get their hair done, eat breakfast and head out to catch their bus at 6:30am. Kaleb gets dressed and heads to his job where he works as an IT project manager and Kordale starts his workday at around 10:00am, working for the family’s medical transportation business. While managing careers and fatherhood is an ongoing balancing act for many families, Kordale makes it clear that the responsibility of fatherhood is what catapulted him to strive for success. After becoming a father of two daughters and a son by the young age of 19, Kordale says the thought of being responsible for a life outside of his own motivated him to get over a lot of the hardships he faced in life.